As human beings, we are all fighting for something. Whether it be love, strength, equality or anything else in our bag of daily struggles, we fight. The Artist and the Boxer show displayed just that in the most creative way possible- showcasing the art of the fight. 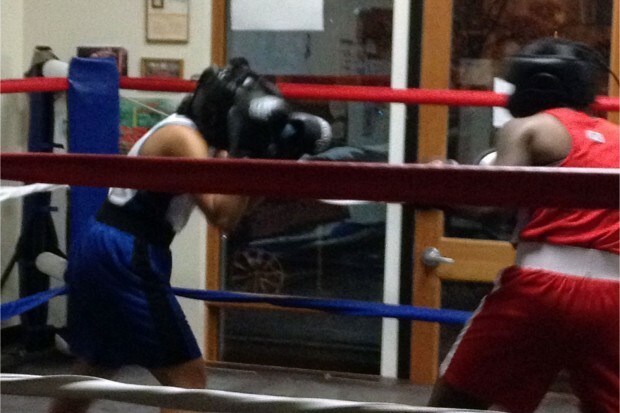 On Saturday, October 25, the Arcaro Boxing Gym in the Capitol Hill neighborhood of Seattle filled with patrons anxious to see an exhibition of fight. But not just boxers; this exhibit was of spoken word poetry, dance and boxing and tied them all together with a little metaphorical gauze and artist tape. The show was collaboratively curated by three extraordinary women, Nikkita Oliver, the poetry curator, Coach Tricia Arcaro, the boxing curator and Laura Wright, the dance curator. 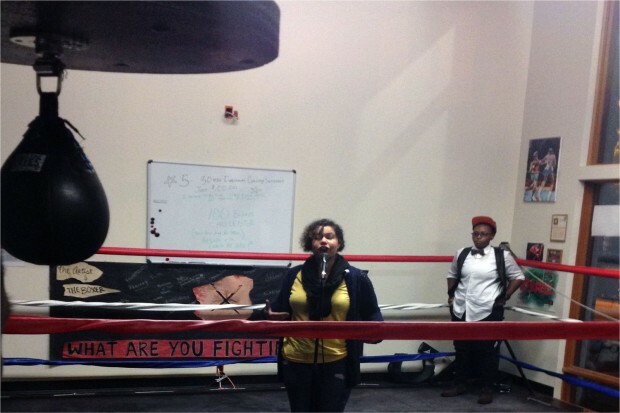 Poetry curator, boxer and artist, Nikkita Oliver takes the mic in the center of the ring with artist, Militant Child in the background. I was lucky enough to talk with Nikkita Oliver, to get deep into roots of her experience as a boxer and an artist and how they were able to curate such an inspiring exhibit. “In the boxing world, it’s a tradition where a gym has exhibition bouts to show off the skills of their fighters to show how they are growing, but Coach Tricia is very much about looking at boxers as holistic people; seeing them also as artists and philosophers and the various things they are and so we decided to bring those two worlds together in the way that we do our exhibitions,” Nikkita told me. Two of Arcaro’s boxers during an exhibition bout. Spoken word artists performed poems with the “What are you fighting for?” theme weaved into their poems. The topics ranged from how one battles their anxiety to how the daily life of a woman of color is activism. The boxers sparred for 3 minutes per bout, starting and ending each bout with a show of affection. The dancers were given one song to express themselves with a routine. The co-hosts, who were both musicians, also had the chance to display their art to the audience. It was absolutely moving to see a boxing gym transform into a museum of performance for one night. 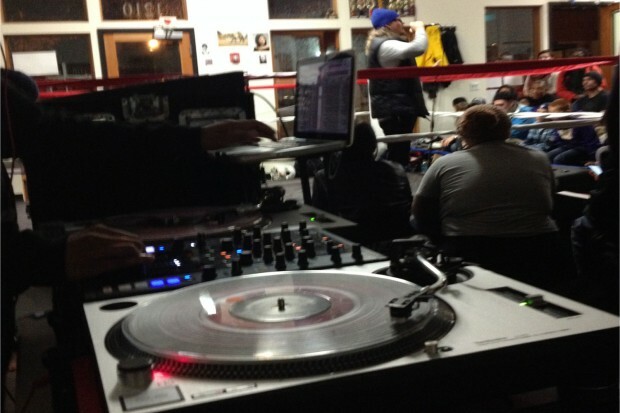 Punching bags used as benches, a ring used a stage, a DJ and a love for the art. The beauty was in the details and the art was absolutely magnificent. Love and proper respect to Arcaro Boxing Gym and the curators, Coach Tricia Arcaro, Laura Wright and of course, Nikkita Oliver.